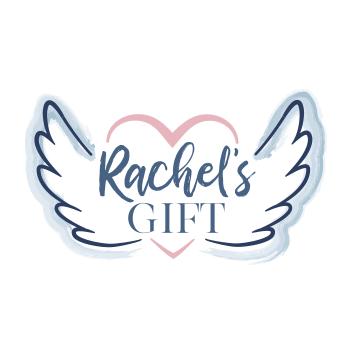 How to bring Rachel's Gift bereavement services to your hospital staff and patients. Together we can impact the patient satisfaction of your bereaved parent population. Who are these patients? Young, healthy 20 and 30 somethings who will return to you for future medical needs and also recommend your facility based on the comprehensive care and resources they received. Or a family that will choose not to return based on the lack of understanding and absence of resources provided to them. By providing compassionate bereavement care, you can provide hope and a sense of grace during an incredibly difficult time in a patient's life. Their positive experience with your facility and staff will remain with them and will influence their decision for care as they age. ♥ AHRG reported that improving clinical indicators such as emotional health and physiological measures can positively impact a wide variety of health outcomes. ♥ Most personalized care is rated the number one aspect of reputation related to patient experience. ♥ Facilities delivering poor patient experiences are four times more likely to have poor reputations than facilities delivering good patient experiences. ♥ The staff that is the most uncomfortable with loss will not voluntarily take the class and they are the ones they need it the most! We've had so many nurses come back and say the class was so much better then they were expecting and they were so glad they were "made" to come. ♥ This allows for consistent patient care through shift changes and so forth. No matter what nurse is assigned to the loss patient, they are trained and know the procedures and feel confident taking on their care. ♥ ​Staff not having education on how to care for these unique patients, and inconsistency of care, has proven to adversely affect patient outcomes. ♥ We recommend that you also advertise and offer the course as an option to key ER staff, Chaplains, Techs, partnering obstetricians, and anyone else in the facility that comes in contact with your loss patients. If you would like our full program as outlined below, please contact us using the form at the bottom of this page for a breakdown of the cost for initial set up and training. ​All costs associated are for reimbursement of costs incurred by us, such as travel expenses, instructor fees, and classroom materials. We do our best to keep costs at a minimum and will work with you for the best plan to enable you to activate the program. The patient supplies and all patient care, resources, and follow-up are covered by us as long as you keep all current staff trained. If you would only like to purchase our keepsake boxes to use for your patients, but do not wish to have the complete service and education, then we will supply those at $40 per box. Purchased boxes do not come with the follow-up service, hand and foot molds, or the last three items listed under additional materials. Our course is a continuing education course in ethics that doctors and nurses can receive credit for their furthering education and renewing of licenses. We have found through our research that most families do not get to utilize the services available because they simply don't know about them. Our job is to offer and connect them with whatever services they want or need and the keepsakes that we provide will be life-long tangible links to their child and will aid them in their healing process. To begin the process of obtaining the services of Rachel's Gift, please complete the form below. We will be in contact with additional information.